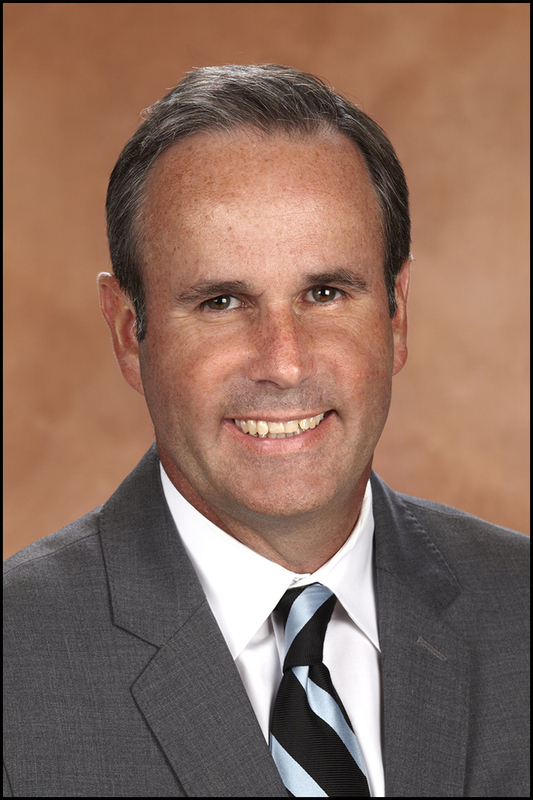 After graduating from Flatwoods High school he earned an Army scholarship to Notre Dame where he graduated Phi Beta Kappa in 1981. After obtaining his law degree at the University of Louisville he spent four years as an officer in Germany and Central America where he was attached to the Special Forces in Panama. He worked for national and state candidates for political office and served a term as Commonwealth’s attorney in Louisville. 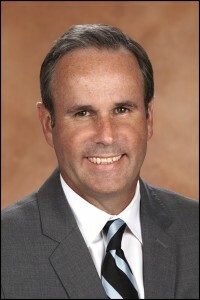 Today, he is an attorney, a partner at Stites & Harbison, where he chairs the White Collar defense practice. Having been interested in art his whole life and taken numerous courses at Notre Dame, on a lark he decided to drop of some his cartoons at the Courier Journal. They asked for more and now after more than a 1,000 cartoons, the rest as they say is history. He enjoys the work of Charles Schulz (“Peanuts”), Bill Watterson (“Calvin & Hobbes”) as well as the provocative cartoons of Tome Toles at the Washington and Nick Anderson. If the point of an editorial cartoon is start discussion on a topic Marc continues to be successful and draws more feedback than anything else in print or online at the newspaper. It remains for him a part-time assignment for which he’s been nominated for a Pulitzer Prize. By day he’s frequently mentioned among the “best lawyers” nationally. With his wife Dustin Meek, also an attorney, they’re the parents of three sons—24, 22 and 16. In his spare time he coaches basketball at Nativity Academy, a small middle school offering educational opportunities to children from low income families. 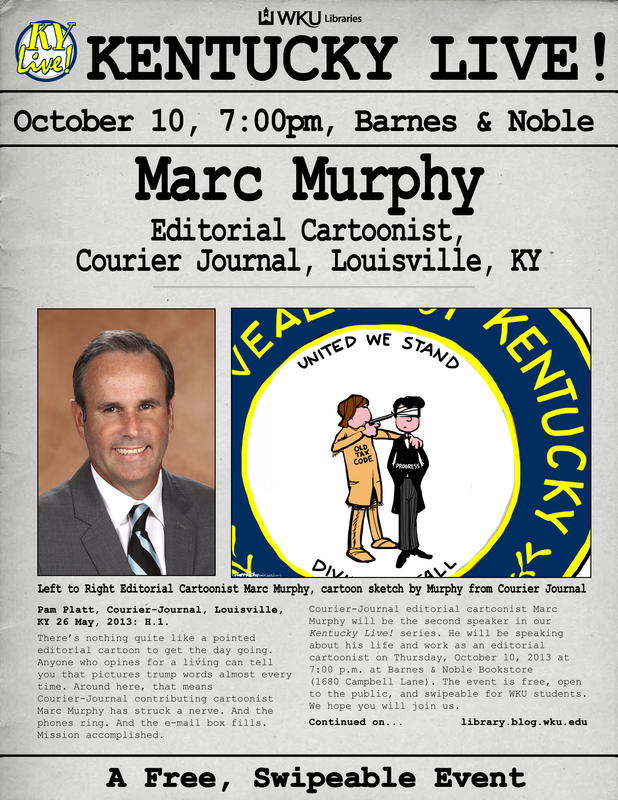 Join us Thursday, October 10, at 7:00 p.m. at Barnes & Noble Bookstore (1680 Campbell Lane) where Marc Murphy will be speaking in our Kentucky Live! 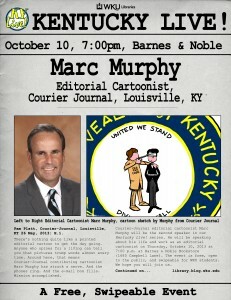 series about his life and work as an editorial cartoonist. The event is free and open to the public, as well as a ‘swipeable’ event for WKU students.